Chandler woke up at 3am and cried because it was not 6am. After I finally got him back to sleep, all I could do was lay in bed and stew about what a corrupt and horrible man Tom Insel is for working so hard to keep our kids trapped in autism land, and to fill our ranks with new families that have their children poisoned every day, that I had to get out of bed and get the bad thoughts out of my brain. This story is so hard for me. Because of who Kim is and because who Bella is. First they are my friends, and I am horrified that this happened to them. Second Kim is a nationally known autism activist and author, and if someone feels bold enough to abuse her daughter, then none of our children are safe. Lastly, and most importantly, if you have ever met Bella, you know she is a complete angel. She is so interested in people, and wants to engage them, but can only say, "Hello" and "Momma" and is just... well a total angel. When she met Chandler, she was taken by him, but silly boy apparently not at the point where he noticed cute girls yet. When someone can be so monstrous to do this to a little girl as sweet and precious as Bella, for literally no reason, even taunting her mother after she leaves the bus... to say that this is a difficult story for me is an understatement. Once upon a time I thought, "gosh... if people would just work out their differences and stop suing each other...." Now I understand that when it comes to protecting our vulnerable kids, they are necessary. I understand that on many occasions the only reason that my son is being treated appropriately is because those that came before me sued the pants off of (insert entity here) and forced them to take the rights of disabled children seriously. Go get 'um Kim. So that for years providers will point to this case and say to their employees, "Yes I know reviewing hours of video tape is boring, but if we miss something and a child is being hurt, we could loose our shirts and have to shut down." Because for too many people, the idea of loosing lots of money will motivate is a way that the thought of an abused child on their watch never will. BRIDGEPORT -- The mother of a 9-year-old Trumbull girl with autism, who police said was abused by an aide on her school bus while the aide's mother was busy texting while driving the bus, is suing the bus company. Kimberly Stagliano claims, in her lawsuit filed Thursday in Superior Court, that First Student Inc. breached its responsibility to provide her daughter, Isabella, with safe transportation to and from school. "As a direct result of the conduct of First Student Inc. and its employees, the minor child suffered permanent personal injuries and damages," said Stagliano's lawyer, Michael Meehan. "In particular, the conduct of First Student Inc.'s employee has had an emotional and educational impact on Miss Stagliano." Officials of First Student, of Cincinnati, did not immediately return calls for comment. Last April, 24-year-old Jennifer Davila, a school bus aide for First Student, was given a suspended sentence after pleading guilty to second-degree reckless endangerment based on allegations that she abused the girl. Her mother, Evelyn Guzman, a school bus driver, received accelerated rehabilitation, a program for first-time nonviolent offenders. According to police, on at least three occasions in April and May 2010, Davila, a monitor on a bus for special needs children for First Student, abused the little girl. Police said there could have been more incidents but only three were captured on the bus's video surveillance camera. Police said they then obtained DVD copies of the bus videos for April 27, April 29 and May 19, 2010. On April 27 and May 19, the driver of the bus is Davila's mother. Police said the April 27 video shows Davila putting her hands in the area of the girl's hands during the bus ride from the school to the girl's home. With each movement, the girl's cries get louder. On the April 29 video, Davila is heard telling a substitute driver to stop at the girl's home first after they leave the school. "Because she (the girl) will (obscenity) her pants," she explains. Within minutes of leaving the school, the video shows Davila again reaching toward the girl's hands, and the girl is heard crying. On May 19, the girl is seen on the video boarding the bus with her mother, who assists her to her seat. When the mother leaves the bus, Davila is heard saying, "Goodbye mom." She then touches the girl's head twice and then grabs the girl's right hand and begins to manipulate it as the girl whimpers. Police said Guzman had been captured on the bus's video camera texting more than 1,000 times as she drove a bus load of special needs children between April and May 2010. Key Lab of Agricultural Animal Genetics, Breeding, and Reproduction of Ministry of Education, College of Animal Science and Technology, Huazhong Agricultural University, Wuhan, 430070, People's Republic of China, Heyam68_hamza@yahoo.com. Vaccines can have adverse side-effects, and these are predominantly associated with the inclusion of chemical additives such as aluminum hydroxide adjuvant. The objective of this study was to establish an in vitro model system amenable to mechanistic investigations of cytotoxicity induced by hepatitis B vaccine, and to investigate the mechanisms of vaccine-induced cell death. The mouse liver hepatoma cell line Hepa1-6 was treated with two doses of adjuvanted (aluminium hydroxide) hepatitis B vaccine (0.5 and 1 μg protein per ml) and cell integrity was measured after 24, 48 and 72 h. Hepatitis B vaccine exposure increased cell apoptosis as detected by flow cytometry and TUNEL assay. Vaccine exposure was accompanied by significant increases in the levels of activated caspase 3, a key effector caspase in the apoptosis cascade. Early transcriptional events were detected by qRT-PCR. We report that hepatitis B vaccine exposure resulted in significant upregulation of the key genes encoding caspase 7, caspase 9, Inhibitor caspase-activated DNase (ICAD), Rho-associated coiled-coil containing protein kinase 1 (ROCK-1), and Apoptotic protease activating factor 1 (Apaf-1). Upregulation of cleaved caspase 3,7 were detected by western blot in addition to Apaf-1 and caspase 9 expressions argues that cell death takes place via the intrinsic apoptotic pathway in which release of cytochrome c from the mitochondria triggers the assembly of a caspase activation complex. We conclude that exposure of Hepa1-6 cells to a low dose of adjuvanted hepatitis B vaccine leads to loss of mitochondrial integrity, apoptosis induction, and cell death, apoptosis effect was observed also in C2C12 mouse myoblast cell line after treated with low dose of vaccine (0.3, 0.1, 0.05 μg/ml). In addition In vivo apoptotic effect of hepatitis B vaccine was observed in mouse liver. Monday our community called for the unceremonious firing of The man who has spent the last six years perpetuating the autism epidemic by sabotaging the natural progress of research and inquiry. IACC chief Tom Insel (brother to a vaccine maker) has directed research from this environmentally caused epidemic to genetics... wasting millions of dollars and lives. So my immediate thought is... "Well apparently we have gotten his attention, and he is going to now have to tip his had to environmental causes to stay in the game. Let's see what he has to say." Increasing prevalence suggests environmental factors like chemicals and microbes changing over the past decade, whereas genes change over generations. Why is anyone looking for genetic causes when there is such a rapid increase in prevalence? Shouldn’t every research dollar be invested in finding the environmental culprit rather than searching for rare gene variants? Imagine my shock when he then fails to answer those burning questions and, who would have guessed it, he spent the whole piece promoting GENETICS! The thing actually should have been entitled, "The New Genetics of Autism - Why Genes Matter - Seriously They Do - Please Don't Fire Me - I'm Really Smart." He flat out says that at most 20% of cases are "genetic," and that seems to be his justification for not answering "Hell, YES!" to that last question on shouldn't research dollars be going to environmental causes! 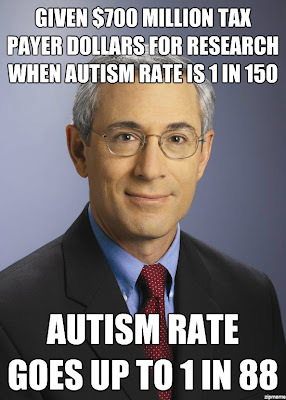 I have been entrusted with finding the causes and cures of autism for the last six years, but instead, autism rates have more than doubled on my watch. 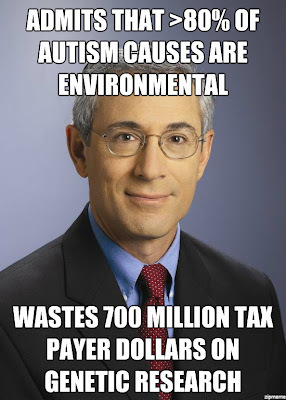 I freely admit that more than 80% of autism is environmental, and less than 20% can be attributed to genetic causes, but I have decided to ignore the environmental factors in autism that could, if found and quickly addressed to prevent exposures, could end the autism epidemic in the next two or three birth cohorts. 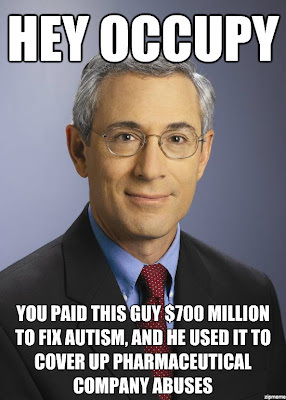 Instead, I am going to continue to pour hundreds of millions of tax payer dollars into genetic studies that have not yet prevented one case of autism, nor lead to one medical treatment for autism, into this dead end, just in case we find something really cool that might help us call some kinds of autism one thing and some kinds of autism something else. They still won't tell us what we can do to prevent autism in kids of parents who have these genes, and it might even be that the genes are not even the parents genes, but genes that get broken in the sperm cells cause they are poisoned or microwaved or whatever in daddy's drawers before conception, but still... how cool is it to find different genes and stuff! My earnest hope has been that you wouldn't notice that I have already wasted 700 million dollars doing nothing and issuing reports that say nothing except, "send me more money to figure this out, I am totally gonna fix this, I swear... but it is just so hard! 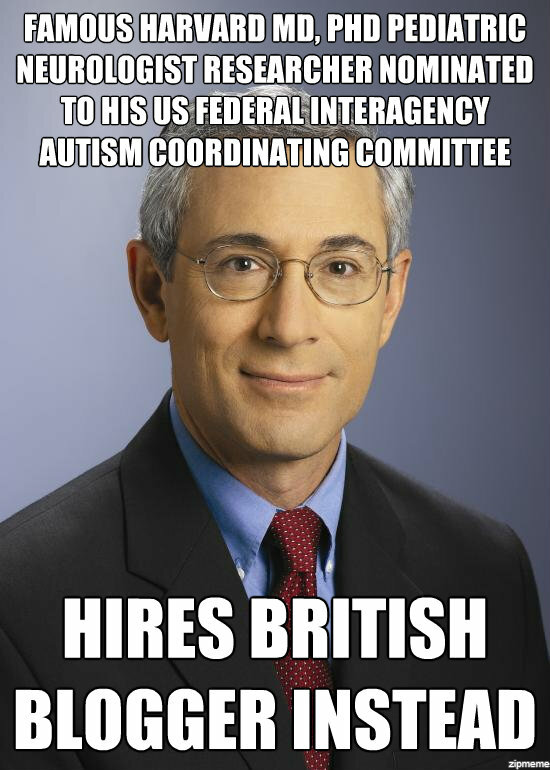 ", but as a hundred thousand or so of you in the autism community have just called for me to be fired, I am guessing that is out the door. So now I am really just hoping that I can get away with using the word "environmental" in a title on my blog and you will be fooled into thinking I am taking the autism epidemic seriously. Also about HHS... please don't notice that we are actually a vaccine maker too, and get cash payments from the people you THINK are making the vaccines, like Merck, cause we hold patents on the shots that we recommend you buy from them. Yes I work for NIH and yes NIH holds the Gardasil patent, and yes NIH gets a check for every Gardasil shot you buy, and no we never disclose that, but I swear... vaccines are not a problem. It genes. Really. In closing, please notice what a pleasant smile I have. 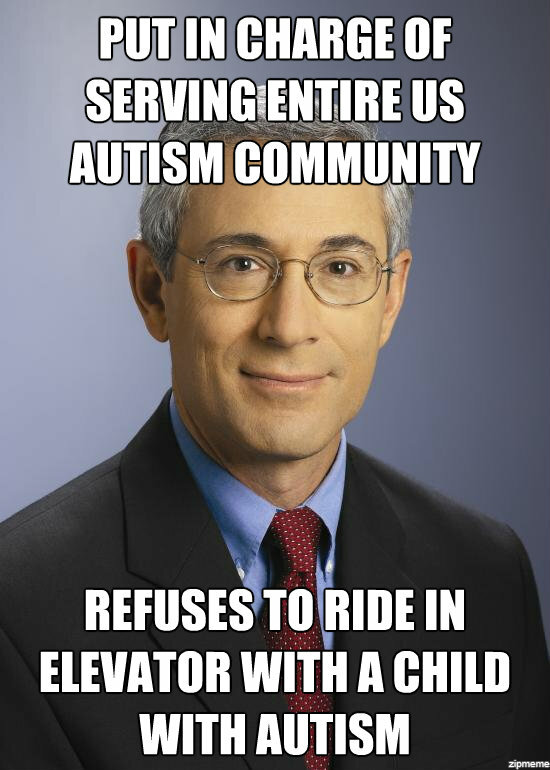 Autism parents are good people. Learn more about: Autism, Children and Adolescents, Genetics. View all posts about: Autism, Children and Adolescents,Genetics. Dr. Walter Zahorodny Believes Vaccines Cause Autism. And Geri Dawson??? 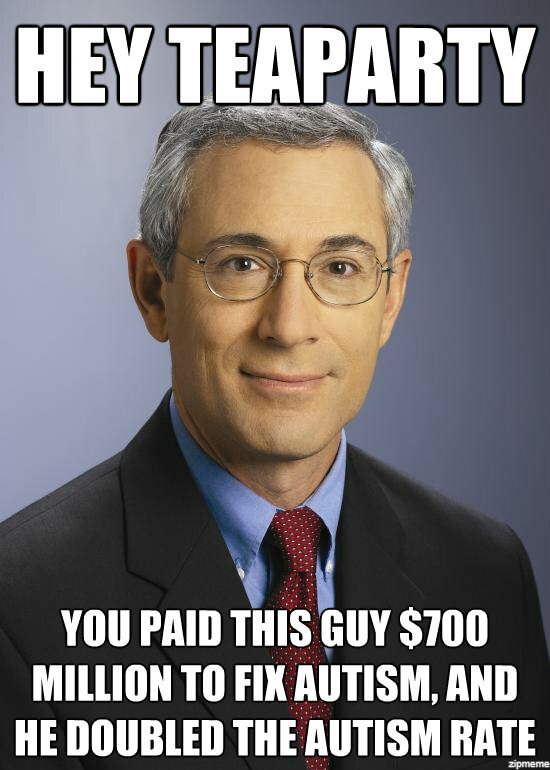 I was listening this AM to WNYC – Kurt Andersen, of all hostile people, did a segment on the ADDM numbers with Walter Zahorodny, assistant professor of pediatrics at the University of Medicine and Dentistry of New Jersey in Newark. Zahorodny was the lead researcher on the New Jersey portion of the study. 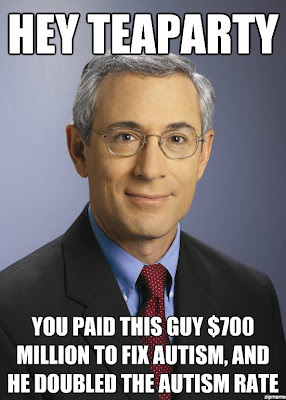 What's that you say Dr. Z? Vaccines don't cause most autism, but they do cause some autism?? You don't say?! When the brainwashed "science media" can't even get those involved in the research to hold the "vaccines do not cause autism" line any more... we can be assured that the Hungry Lie is falling apart in earnest and the end of the vaccine age is near. If anyone can confirm or has audio, would love to hear it. It is CRAZY how blase he is about this. Like he is reporting a light rain moving in from the west in the late afternoon. Drops a bomb and strolls on by. Worth listening to the whole interview as it counters many of the media talking points. So is Geri Dawson joining Dr. Zahorodny? Looks that way to me! Ashbrook: "Dr. Dawson, here's a question online from Melrose, has the link between MMR vaccine and autism been completely discredited. I notice that the word 'vaccine' has not even come up so far in this hour. Is that...for some years that had a lot of attention, is that off the table now, Dr. Dawson?" Dr. Dawson: "There is no evidence that the increase in prevalence that we're seeing in Autism Spectrum Disorder is linked to the MMR vaccine. You know, if vaccines play a role, and there has not been any evidence thus far to show that it has, it would be a very small minority of individuals who have an underlying medical condition where the vaccine may have triggered an onset of symptoms for an already existing condition or vulnerability. So we do not believe that vaccines are an explanation of the increase and we strongly encourage parents to get their children vaccinated." So again... thrown the softball and didn't take it! 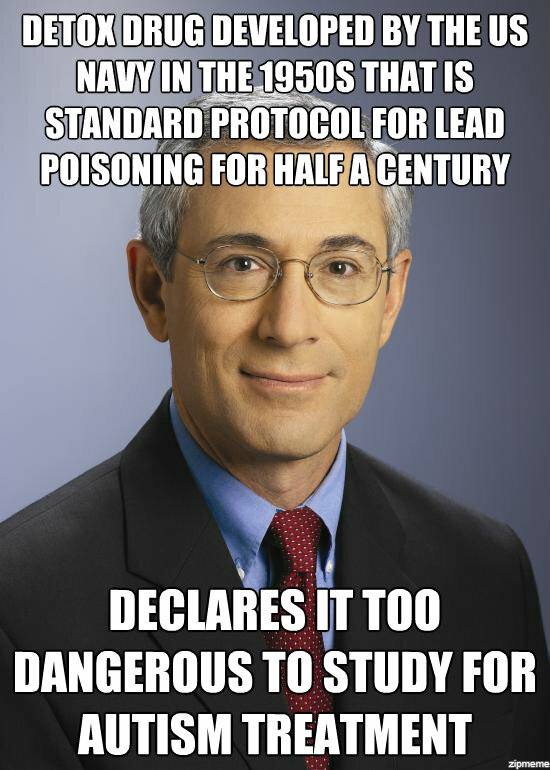 Ashbrook, like Andersen, took the initiative of bringing the vaccine question into the interview, and in both cases it was merely an invitation to declare the vaccine hypothesis DOA. And neither Zahorodny or Dawson took the opportunity to do so! They BOTH could have said, "Correct." And just moved on. But they didn't! They both contradicted their interviewers presumptive statements, and said a version of, "Incorrect, vaccines do cause autism in some children, and it is a smaller number of cases than people think, but I don't see that vaccine induced autism could be playing a major factor in the increase." IMHO... no way in h-e-double hockey sticks that these two didn't know exactly what they were doing. 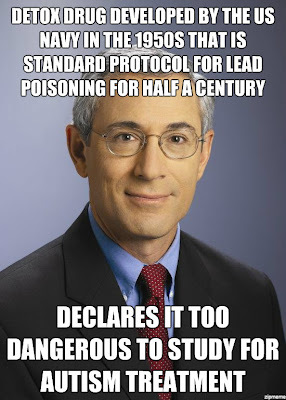 They had every chance to run from vaccine causation and they didn't. They confirmed it. Then they minimized it. We have just witnessed the very quiet pushing of the envelope. Dr. Geri Dawson and Dr. Walter Zahorodny have just joined you and me and all our friends in taking our position that vaccines cause some cases of autism, just not all the cases of autism. Now we are only separated by the degree in which we believe the vaccine induced autism is a factor in the skyrocketing autism numbers. "You know, if vaccines play a role [in rising autism prevalence], and there has not been any evidence thus far to show that it has." ...if by "evidence" of course, she means "scientific research" because there is plenty of data to show that vaccines cause autism, but none that I know of to show how often vaccines cause autism. Remember... we are all still pretending that it doesn't happen at all. So can you imagine the research funding proposal that would read, "It has been established that vaccines are one of the causes of autism, this team endeavors to discover how much of the rise in autism cases are due to vaccine induced autism." HA! 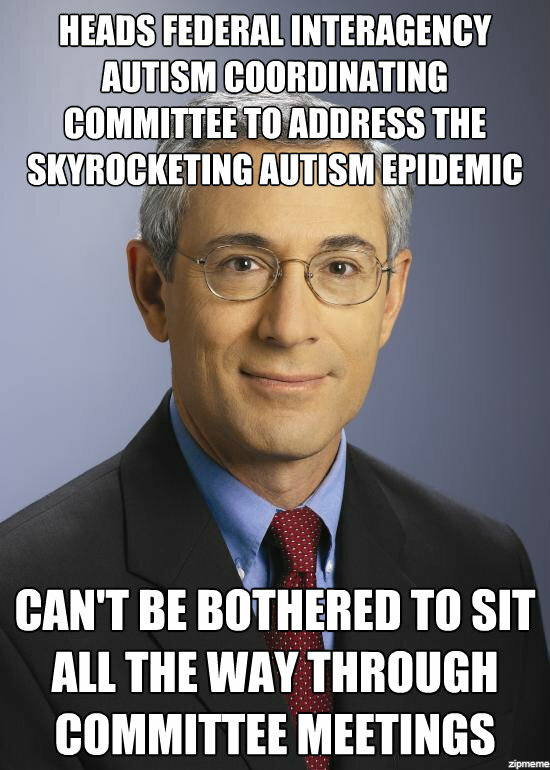 Betcha Autism Speaks and CDC would just THROW money at that ask! 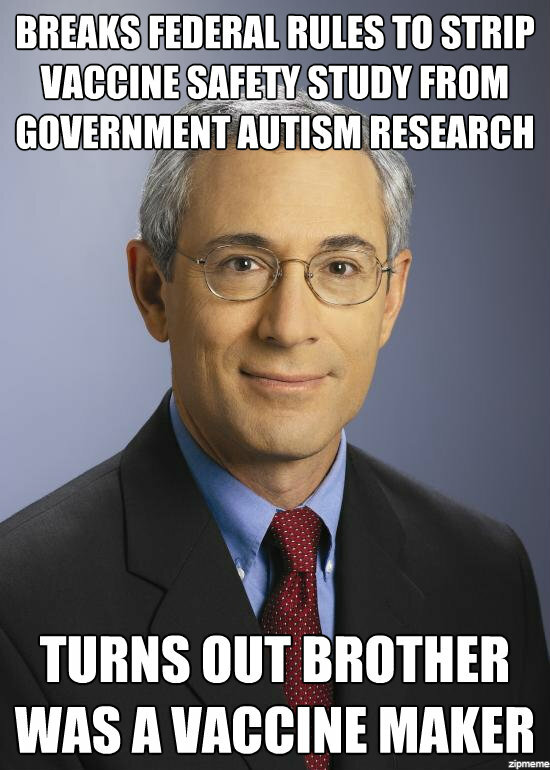 "The government has never compensated, nor has it ever been ordered to compensate, any case based on a determination that autism was actually caused by vaccines. We have compensated cases in which children exhibited an encephalopathy, or general brain disease. Encephalopathy may be accompanied by a medical progression of an array of symptoms including autistic behavior, autism, or seizures. Some children who have been compensated for vaccine injuries may have shown signs of autism before the decision to compensate, or may ultimately end up with autism or autistic symptoms, but we do not track cases on this basis." 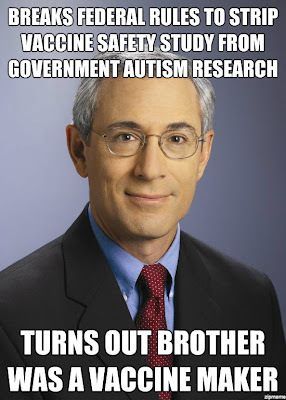 Not even the government keeps track of their own cases of vaccine induced autism! So do vaccines cause autism? YES! Now we just need to know how often that happens! So how * many years are we going to do this? Hey America! 1 in 88 of your children is disabled for life (up 23% from two years ago, but no worries, just better diagnosing!)... they will cost a few million each to raise and care for, few will marry or have fulfilling careers, they will be bullied by peers, neglected by school systems, abused by caregivers and sexually assaulted by predators when you turn your back. Many will die from seizures, anaphylaxis, drownings, accidents, negligent homicides and be murdered long before their time, and at best, they still won't be able to fully communicate with you, the parent, who longs to have a close relationship with your baby. They will struggle every day in ways I never will. Lets * Celebrate * Autism Day And Make Things * Blue! * feel free to mentally reinsert the curse words that I removed before publishing. I am angry. World Autism Awareness Day: Autism Exists, Let's Celebrate? Even Though It's Killing our Children? I have a hard time each year with AUTISM AWARENESS DAY/MONTH. This is the Fourth Annual International Autism Awareness Day. How long are we going to pretend that all this autism is normal and acceptable? Seriously, how bad do the numbers have to get? A number of stories out in the news calling for the public to "celebrate" the day. Today is World Autism Awareness Day by Kristina Chew "Today, April 2, is the fourth annual World Autism Awareness Day, during which 'autism organizations around the world celebrate the day with unique fundraising and awareness-raising events.' "
Pueblo Chieftain: Blue balloons raise autism awareness, "The baby blue balloons that Jonah and his classmates at Beulah Heights Elementary School released were to celebrate the beginning of National Autism Awareness Month. The event is celebrated each April, while the World Autism Awareness Day is today." Sioux Falls Argus Leader: 5 questions: Shedding light on autism, "The falls will be colored blue by lights in support of the Autism Speaks' global Light It Up Blue campaign to celebrate World Autism Awareness Day and Autism Awareness Month." Lufkin Daily News: Peavy students working to raise autism awareness, "Because of the prominence of the disorder in boys, blue is the official color for autism awareness and the reason the entire Peavy campus was encouraged to don the color Friday to celebrate Autism Awareness Month." Berkshires.com: Diversity Takes Center Stage in the Berkshires, "'We have so many people supporting this committee right now,' said MaryLee Daniels, director of the Berkshire office of the Department of Developmental Services, and committee member. "BFAIR, BCArc, the list goes on as to how many organizations support this initiative. We especially want people to join us in celebrating three different months of diversity. Of course, last month was Black History month. This month is Developmental Disabilities month and next month is Autism Awareness month. We have so much to celebrate here." Lots of stories are about lighting things up in blue for autism awareness. Lots of them talk about autism being a developmental disorder affecting one percent of children whose cause is unknown. This is done without any alarm or demand for answers. 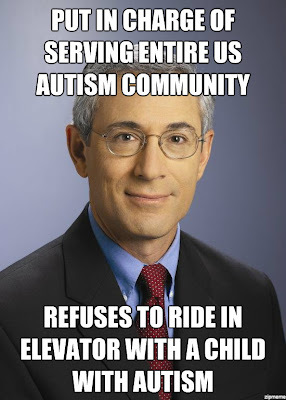 We have been conditioned to accept autism as the perpetual mystery. As the parent of a son in his 20’s with autism, I’ve had several decades of experts knowing nothing about this disorder. Is this to be the epidemic without a cause? Looming in the background is the reality of what autism is doing to us. As I listen to the dire predictions about the hard economic times we're in and the need for austerity, I have to ask how in the world we're going to address the needs of the generation of children with autism about to descend on America as adults. 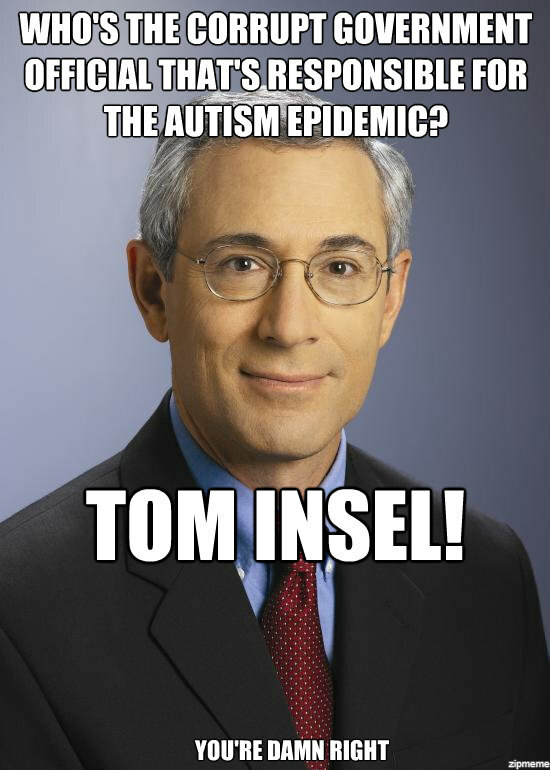 Dr. Thomas Insel is the wet blanket in all this celebration, acceptance, and awareness of autism. 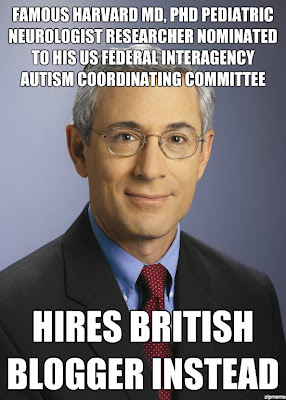 He's the head of the Interagency Autism Coordinating Committee created by Congress to deal with with the disorder and he says that 80 percent of Americans with autism are under the age of 18. He's warned us we have to prepare for a million dependent adults "who may be in need of significant services." 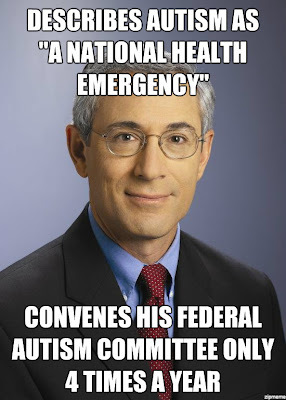 The IACC now calls autism "a national health emergency." Maybe a better name for April 2 is World Autism Emergency Day. Anne is right. And I gotta wonder, exactly how long this PR BS is going to continue. Last year I began a new blog. Lives Lost to Autism. 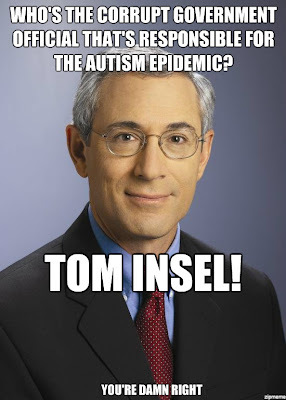 I got more than a little bit sick of the blatant fear mongering of death by diseases that are NOT killing Americans, like measles, while the deaths of our children caused by their autism go unlamented and ignored by health authorities. And those 27 autism deaths are only the ones who came across my google alerts for "autism deaths" or "autism died" or "autism drowning." The test I use on how to include them is basically, "would this have happened to this this person was neurotypical?" Who knows how many more went unreported or didn't get picked up by google. I would love to quote an actual statistic on how often autism kills, or how their incidence of premature death compares to the general population, but no public health agency cares enough to track this. 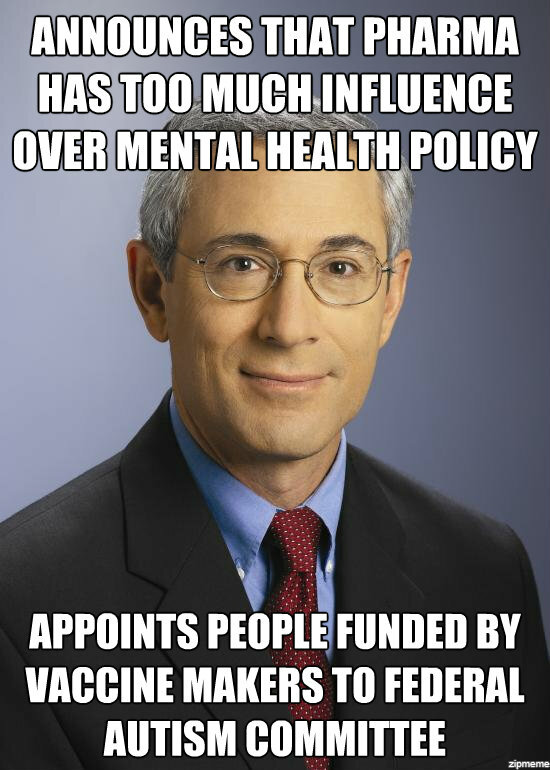 But insurance companies, whose bottom lines are effected by deaths and actually need to know if autism is deadly, won't sell life insurance policies on children with autism younger than 10, because it is not a good risk for them. See the problem there? Our precious ones drowned, were murdered by caretakers and loved ones, were shot by police, suffocated while being restrained, were hit by cars, burned to death in fires, died from neglect and were killed by seizures. A few of them even killed others during their own melt downs. Bryan Nevins, age 20, died because, on a hot day, he could not simply open the door of a van and get out. His institutional caretaker was on her cell phone and forgot about him for five hours. She is in jail now. Autism kills and our government could not give less of a damn. Autism Speaks doesn't seem to want to make that point that autism kills more than whooping cough, because then the public might actually begin to see this as a public health emergency and demand results... and then were would AS be? The party financing would dry up. 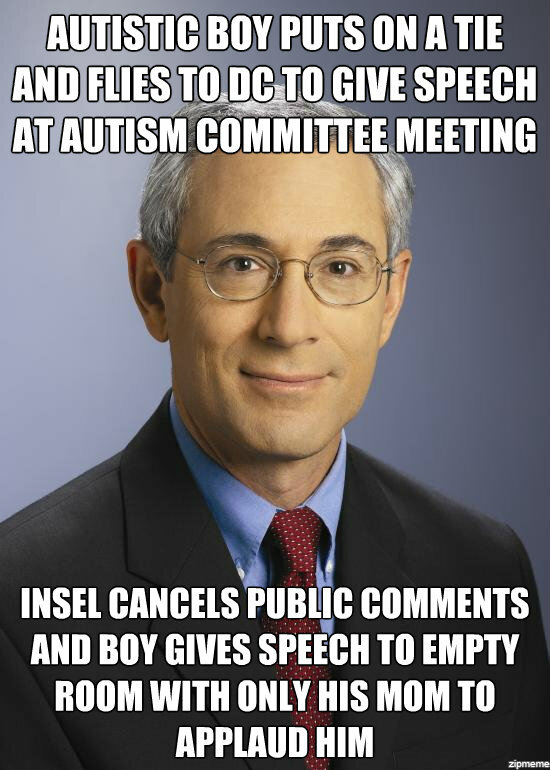 Better for them to let autism linger and keep sucking up cash from suckers as they pretend to do something about it. 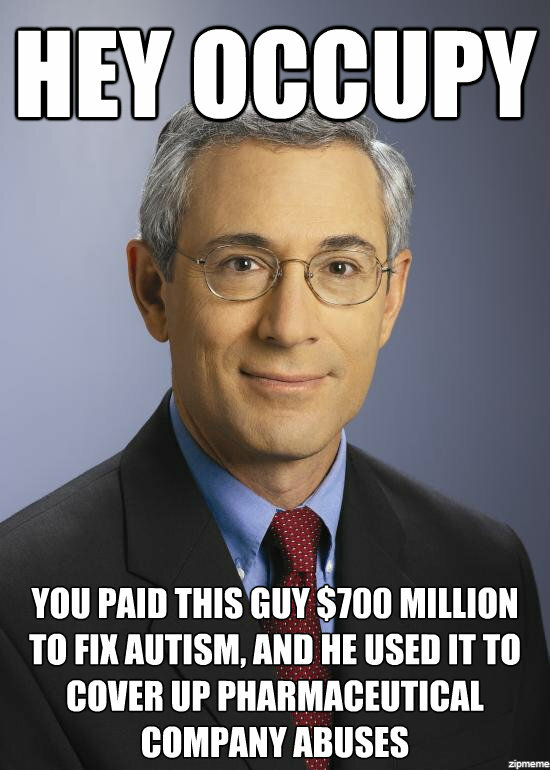 Autism Speaks has found quite the cash cow. 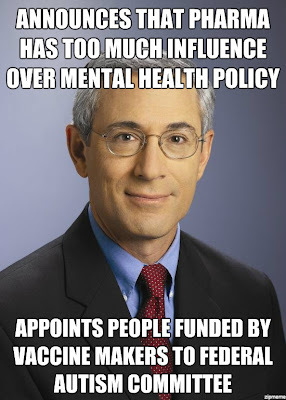 And HHS's admissions that yes, vaccines CAN AND DO CAUSE AUTISM would mean that HHS has been able to do something about this FOR YEARS and has not done it. 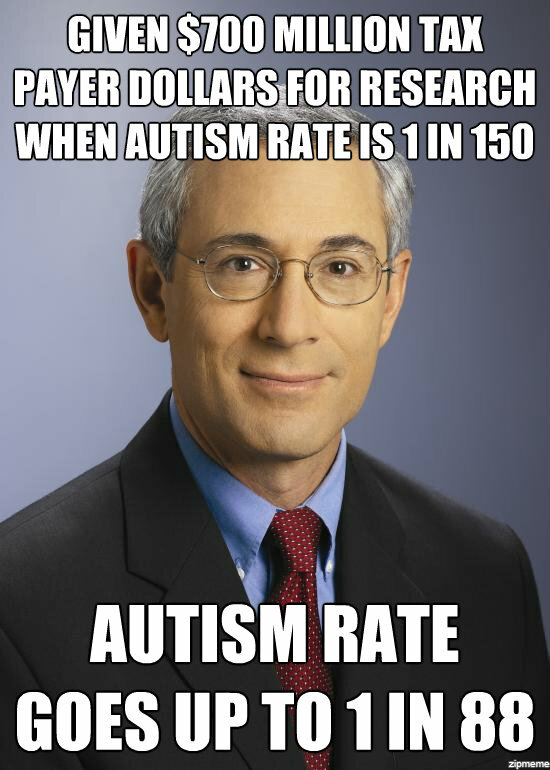 It means that those vaccine cases can be avoided by screening for mitochondrial disorders, autoimmunity and toxicity, and treated early on if doctors were actually taught that "vaccine induced encephalopathy" exists and if recognized and treated immediately that it may minimize or even prevent many cases of autism from developing. And that might also mean that the people who have been sitting on this information for years, and decades, might suffer some consequences. 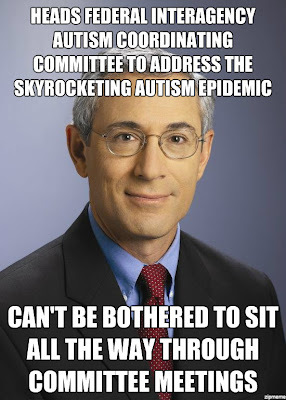 But AS has decided to ignore HHS's own claims of vaccine autism causation and openly declared that everyone should stop talking about the vaccine autism link. Better that we just "wear blue" because dealing with all that ugliness would just be too ugly. This is my post on "Autism Awareness" from 2008 entitled, "Insensitive Jerk Makes a Good Point". Nick sees all the signs that tell him that Autism is everywhere, but tells him nothing about what to do about it. And this was three years ago. I should try to track Nick down and see if he has figured out what he can do about it yet. HAPPY PHONY, BS, ARCHAIC, DESCRIPTION OF BEHAVIORS DIAGNOSIS THAT TELLS US NOTHING ABOUT WHAT IS GOING ON MEDICALLY SO WE CAN KEEP IGNORING THE TOXIC CAUSES OF WHATEVER THE HELL IT REALLY IS WHILE IT CONTINUES TO KILL PEOPLE CELEBRATION DAY! Make sure you wear blue, write a check to AS, vaccinate your baby, give him a dose of Tylenol, feed him GMO's and then go back to sleep. They experts are handling it for you. *Ok... I actually have no idea if Geri Dawson has horses, but I do know she lives on a ranch or a farm or something, so horses... not out of the question really.